As someone who has devoured every book in this series - this one was a bit of a let down for me (although it had its moments). 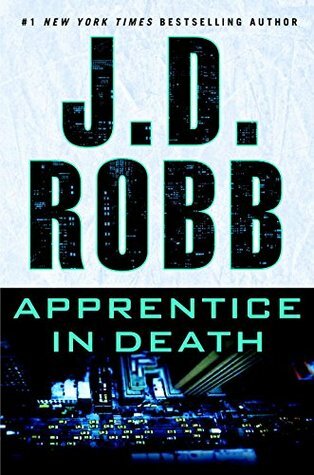 To start with, if Roarke was able to in the span of a night, develop a computer program to track a possible sniper nest - why was this program not already developed and sold to police departments? For someone as tech and business savvy as he is, one would think he would have already had something like this in production. With the amount of work that would have had to go into it, it almost seems inconceivable that he was able to do it in such a short span of time. I was also a bit disappointed with how quickly the suspects were identified. One of my favorite things about this series is typically how the case unfolds and how the killer is (sometimes) hiding in plain sight. This one missed the mark, even though it did take the second half of the book in order to actually apprehend the culprits. On the flip side of things, I was honestly touched at the interactions between Summerset and Eve. While I have come to enjoy their sniping matches, the fact that in that moment they were able to admit to their mutual respect for one another was lovely to see. I wouldn't want it to become a "common" thing, but in that moment, it was absolutely perfect for the story. I also found the overall story arc to be an engaging one, perhaps not as fast moving as some of the other stories, but I feel like the way we got to see inside the mind of the killers as well as the police, it gave the story a more interesting feel. It was also interesting to see how the police would find a connection to the murders, if indeed there was one to be found. Overall, I do think that this book will appeal those who enjoy a well-written police thriller! I will definitely read more from this author!